Properties in Lancaster County average 4.8 out of 5 stars. Property 5: Relax close to all the Amish Country attractions. Affordable, Family-Friendly. Property 9: Sleep Peacefully In An Old Stone Country Church House In The Pa Dutch Region. Property 10: Adorable Cottage Surrounded By Amish Farms. On The Grounds Of A Historic B&b. Property 13: Relax & Enjoy the quiet country setting! Property 18: PERUSE OUR INCREDIBLE REVIEWS! 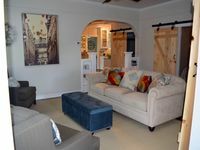 Creekside Cottage Awaits Your Visit! Property 20: Cozy Retreat To Relax And Refresh! Property 30: Romantic Cottage, with outdoor hot tub, also a beautiful setting for a wedding! Property 33: Stately Victorian Cottage With Wrap Around Porch Situated On A Walking Street. 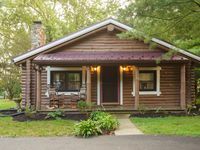 Property 44: Quaint wooded log cottage attached to the main house with many amenities. Property 46: Nestled on a quiet walking street but close to it all! Property 47: Step Back In Time...enjoy This Vintage Cottage With Tranquil Porch Area. Property 48: Spacious cottage with a view of the lake and dog friendly too. Property 50: What a view and all the amenities too.